Local low-end “puppet masters” are featured in the Museum of Making Music’s video that accompanies the bass exhibit. Kenyatta, a jazz studies professor at UCSD and Grammy-winning producer, is referring to a part of the exhibit that demonstrates what happens when the bass is removed from a band setting. A video of a band attempting to play a variety of famous songs shows the band members sounding off when the bass is removed from the arrangement. ...explores how bass waves can be seen, using water in a subwoofer or through a hose. Spoiler alert: it’s not pretty, and that’s the point of the exhibit — to show how the bass is felt even if it’s not heard. The exhibition opened in November and runs through July 31, 2016. Kenyatta hopes it helps music lovers get to the bottom of why the bass is crucial to music in all its incarnations. The exhibition showcases bass in different ways. 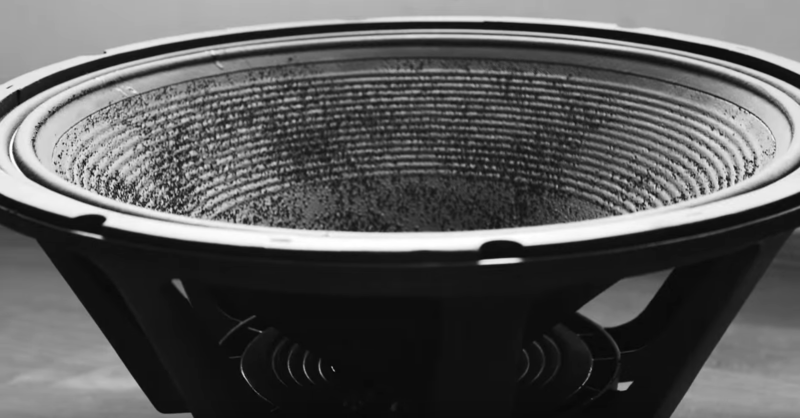 Besides the video that shows the effects that bass players have on a whole band, there is an installation that visually demonstrates the effects low notes have on water. Another exhibit has people sit on a subwoofer and feel low tones in their lower extremities. Visitors can also pick up different types of bass instruments and give them a try, or sing into a microphone that has been modified to turn their voice into a basso profondo, the lowest male voice in opera. Of special interest is a video of local musicians who play everything from acoustic bass to contra bass sax to guitarrón, each giving the lowdown of their “bassic” instincts. As an adjunct to the exhibit, the Museum of Making Music is planning a series of concerts focusing on the bass. Bassist/vocalist Katie Thiroux will headline a Feb. 6 show, followed by Victor Wooten on Feb. 27 (who will also be hosting a bass clinic earlier that day) and Alphonso Johnson on March 12.